Forget the man of steel. This guy has balls of steel. 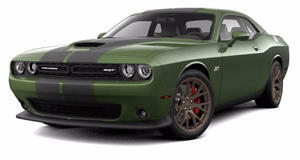 For most people, riding shotgun in a Dodge Challenger SRT8 is thrilling enough. But not this guy. 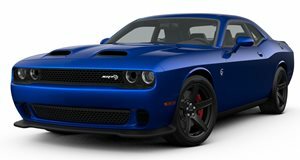 In true Marty McFly fashion, watch as he calmly glides to the rear end of the 593-horsepower muscle car, holds onto the bumper and hangs on for dear life as the Challenger motors down the runway hitting over 120 mph in a matter of seconds. Taking place at the Meinerzhagen airfield in Germany, check out the man with two giant testicles and a pair of skates reach some serious speeds.